See every detail of your wedding floral operations in every store. As visibility increases between various locations and the corporate office, you're able to leverage the existing data to solidify practices across the operation and drive profits. Before Curate, one set of regional managers reported having a 22% brand and proposal consistency across stores. Forty-five days after implementing Curate as the core system for key locations, they reported having a 90% brand consistency across proposals. 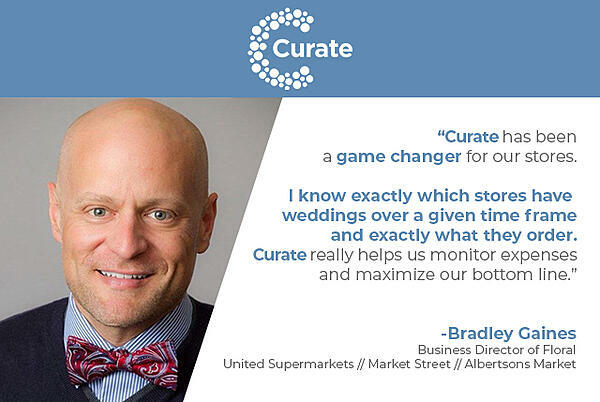 Curate is an end-to-end solution for mass-market stores with full service floral departments that gives incredible visibility to leadership through its proposal creation, procurement, rental management, and corporate management products. The closing / booking rates of each location to see which store is doing the best. Fill out the form above to schedule a discovery call. Full-service floral stores have so many moving parts that it's hard to keep up the day-to-day details, let alone keep corporate leaders in the loop. 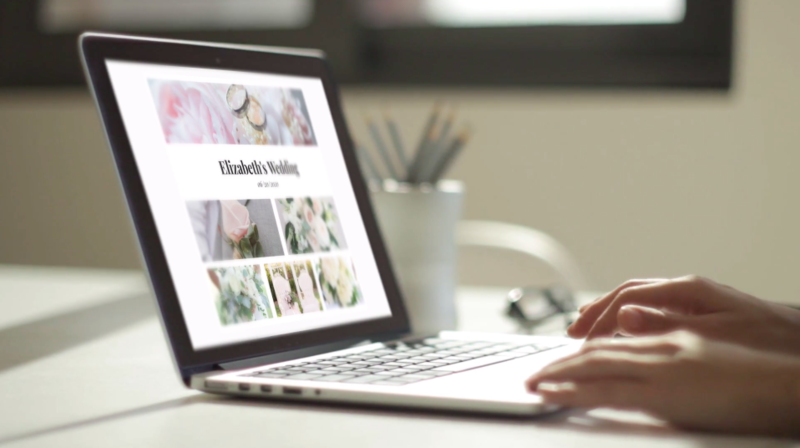 Curate's simple proposal software gives you knowledge of flowers ordered, events happening, and the profitability of each event like never before. And it gives your leadership the ability to have access to every proposal sent through the software to ensure brand consistency.